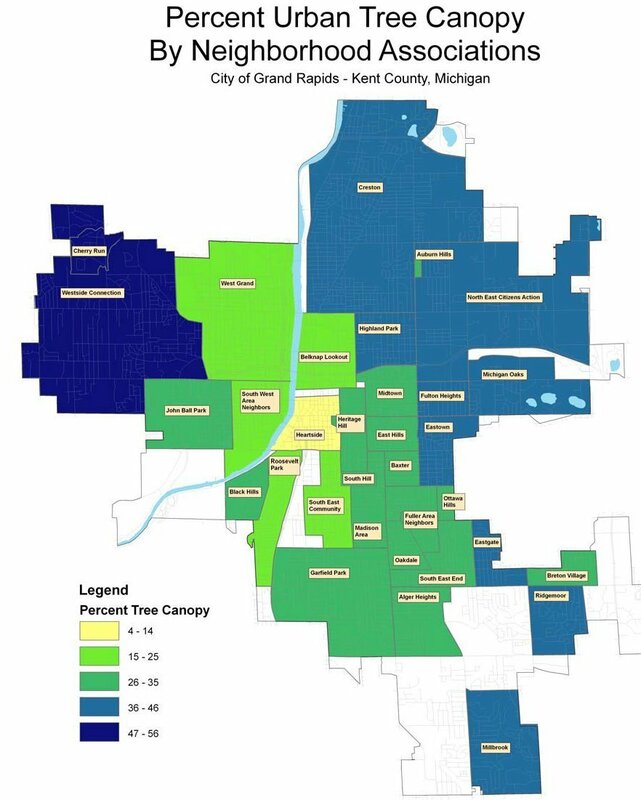 GRAND RAPIDS, MI undefined A nonprofit dedicated to expanding the number of trees planted within the city limits is hoping that you’ll raise a glass of Grand Rapids beer to support their efforts. Starting this Sunday, Aug. 4, 17 different West Michigan breweries will tap kegs of a special small batch beer brewed specifically to support the Friends of Grand Rapids Parks and the city’s Urban Forest Project partnership. “This is the largest collaborative brew that Grand Rapids has done and I think it was something a lot of brewers could identify with,” said Steve Faber, Friends of Grand Rapids Parks executive director, who started the ball rolling with Harmony Brewing following the city’s âBeer City USAâ online poll win this spring. In the same mold as past collaboration brews like Beer City Pale Ale and The Grand Pumpkin, each participating brewery has made a version of a tree-themed beer with a recipe that incorporates, for instance, ingredients like maple, oak, cherry, etc. Some breweries are donating $1 from each pint to the forest effort. Others are hosting special events. The collected money will pool to finance the planting of “brewers groves” around the city. The first grove will be planted at Riverside Park, where about 250 ash trees have been removed due to Emerald Ash Borer infestation. “It’s a great project that gives some attention to our industry and allows us as brewers to show some camaraderie and do some good,” said Dave Engbers, co-founder of Founders Brewing Co., the largest participating brewery. Founders aged their Centennial IPA in oak barrels for the project. View full sizeCourtesy the city of Grand RapidsAreas of Grand Rapids with the least tree canopy coverage are along the Grand River. It’s not the first time the urban forest people have hooked-up with the brewery crowd in Grand Rapids. Last fall, members of the Brewery Vivant Monk Club helped the group plant trees at Highland Park. Vivant, which is participating in the tree beer project, has not been shy in the past about taking an environmental stance. Grand Rapids has enjoyed past designation as ‘Tree City USA‘ by the Arbor Day Foundation for its management and promotion of the urban canopy. Tree-planting advocates say that increasing the urban canopy can reduce heat effects on warm days like today, cutting energy costs. Trees also reduce storm water runoff and absorb pollutants that otherwise might end up in rivers and streams. A ceremony and brewers grove planting will take place on Oct. 17 at Riverside Park. A special permit will allow for libations, and an inflatable screen will show a beer-related movie at dusk. Crankers Brewery, 213 South State Street, Big Rapids. Schmohz Brewing Co., 2600 Patterson Ave SE, Grand Rapids. Mitten Brewing Co., 527 Leonard St NW, Grand Rapids. BOB’s Brewery, 20 Monroe Ave NW, Grand Rapids. Jaden James Brewery, 4665 Broadmoor, Grand Rapids. Founders Brewing Co., 235 Grandville Ave SW, Grand Rapids. Hopcat, 25 Ionia Ave SW #100, Grand Rapids. Brewery Vivant, 925 Cherry St SE, Grand Rapids. Harmony Brewing Co., 1551 Lake Dr. SE, Grand Rapids. Grand Rapids Brewing Co., 1 Ionia Ave SW, Grand Rapids. Rockford Brewing Co., 12 E Bridge St, Rockford. Perrin Brewing Co., 910 Comstock Park Dr Comstock Park. White Flame Brewing Co., 5234 36th Ave, Hudsonville. Pike 51 Brewery, 3768 Chicago Dr, Hudsonville. Hideout Brewing Co., 3113 Plaza Dr NE, Grand Rapids. Cellar Brewing Co., 500 E Division St., Sparta. The Peoples Cider Co., 600 Maryland Ave NE Grand Rapids.